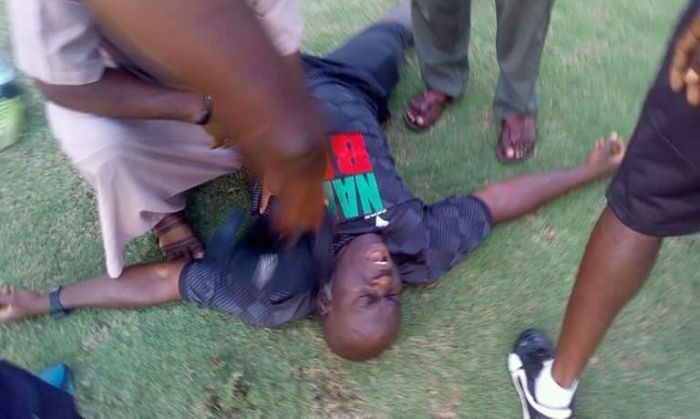 An ugly incident was recorded today in Nigeria’s lower division, NNL, after a coach was allegedly punched by a player during match today. 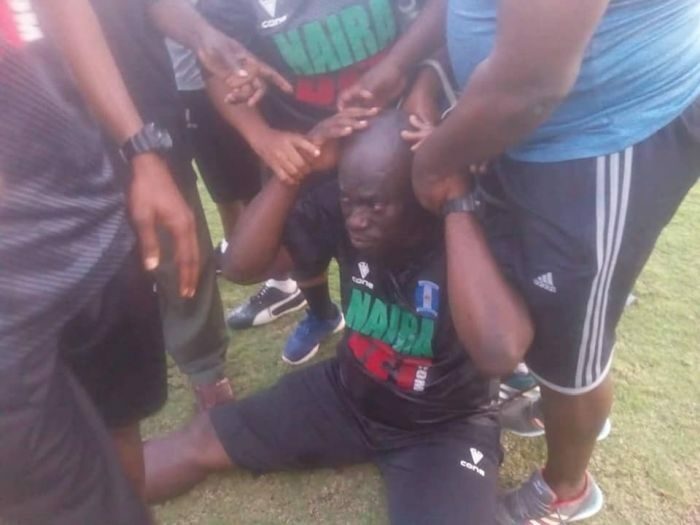 It was gathered that the Shooting Stars coach, Agoye Edith Olumide, was allegedly hit in the head by an Akwa Starlets player, goalkeeper Franklin Akwari, after the 0-0 result in Uyo, Akwa Ibom state. 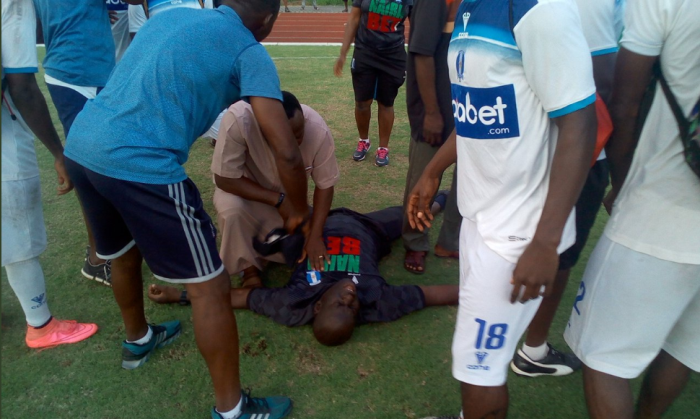 The coach was reportedly left unconscious for some minutes before he was revived by the medics. 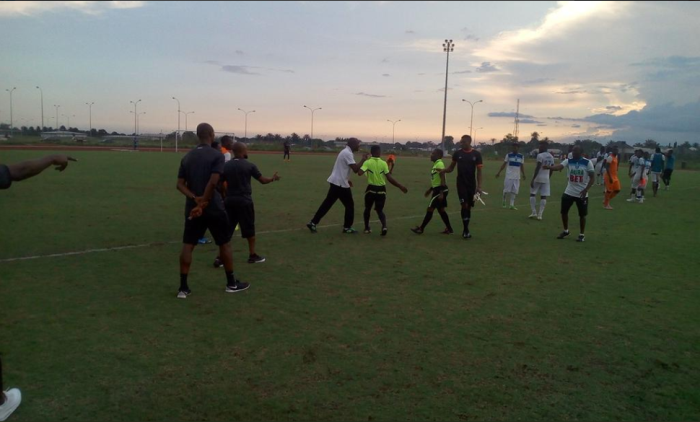 It was also alleged that the referees were dealt with by the players, officials and pocket of the fans, after the match. Comedy Video: Mc Lively & Kemen – Don’t Touch Me!! !